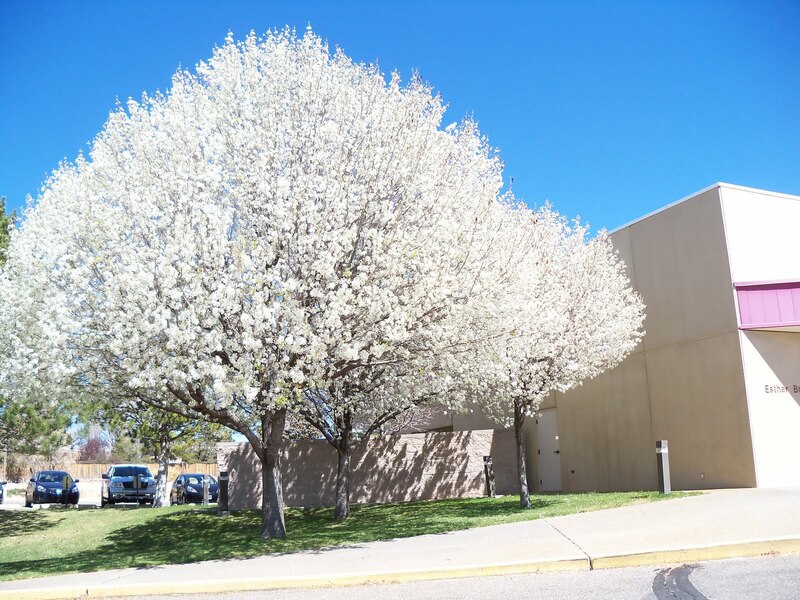 A few weeks ago, I was entering the building where I work when I paused for a moment to appreciate the flowering white trees just outside the employee entrance. These Bradford pears only bloom for about ten days each spring, and they draw my admiration each time. I waved my pass card over the automatic lock and heard the tiny click that accompanied the green light signaling the open door. As I stepped inside and rounded the bend near the elevator, a slightly-built woman with shoulder-length gray hair smiled as she passed and then stopped, came back a step. “How is Caroline*?” Pat* asked hesitantly. Caroline worked in my department the past several years. Possessed of a rare ability to track joy into every room she enters, Caroline seems utterly unselfconscious in a way that marks those who consistently focus on others. When an aggressive metastatic disease left her gasping with pain late this winter, Caroline reluctantly resigned in order to engage the enemy fulltime. I briefly shared the latest medical update we had but was puzzled. Pat works in a different part of the building in a department that never interacts with mine. “I didn’t realize you knew her,” I commented. “Oh, I don’t really,” she said quietly. “Caroline wouldn’t even know my name, but I was standing in the cafeteria one day at lunch time when she stopped to use the microwave and then smiled at me. Pat looked down at the floor for a moment. She didn’t need to tell me; I saw it in her face. In a world where the young and fit attract attention, Pat and women like her are often invisible. As with many middle-aged and older women who live alone, Pat has no one to tell her that she looks nice. No one to notice when she comes home late, or not at all. Perhaps no one had complimented her in a very long time. For 50 weeks of the year, those Bradford pears at the entrance barely attract notice. That day I had stopped to admire them simply because they were beautiful. But how much do I miss every week of the year? People like trees walking who are alone, unassuming, quietly going about their day. Men and women alike with no special attributes to draw my distracted attention. People who are invisible until someone cares enough to truly see them. Lord, give me eyes like Jesus and Caroline’s to wake up and see your people. People like Pat. Thank you, Maggie. There are so many. I look forward to Maggie’s blog so much because it always has such profound and beautiful expressions of love and truth. Sim, you are gifted as an encourager. To this day I would recognize your handwriting anywhere from all the notes you sent when we were in youth ministry. Bless you dear sister! Such a touching story, Maggie. We never know how much a kind word might mean to some dear, lonely soul. Pat, that is so true, and sometimes the lonely soul lives within our own body. So grateful for those who notice when we are hurting, too. So lovely! Thanks for being a noticer. Oh Stephanie, I miss so much more than I notice. Our friend “Caroline” is a powerful example to me. Thank you for the gentle but touching reminder to us all. I needed that today. Hugs to you today, Sharyn. Sometimes people need eyes to see US, as well. Oh, Lord give me that kind of eyes, too. And thank you for Maggie’s reminder – I needed it! Blessings on your day, Maggie, and love. Blessings to you as well, dear Polly! Oh my goodness, Maggie–tears! Thank you for sharing this moving story with its powerful reminder to open our eyes and SEE. Katherine, sometimes the simplest encounters can make the biggest difference in a life. My chat with “Pat” certainly taught me that.